This cutie is Rocky. 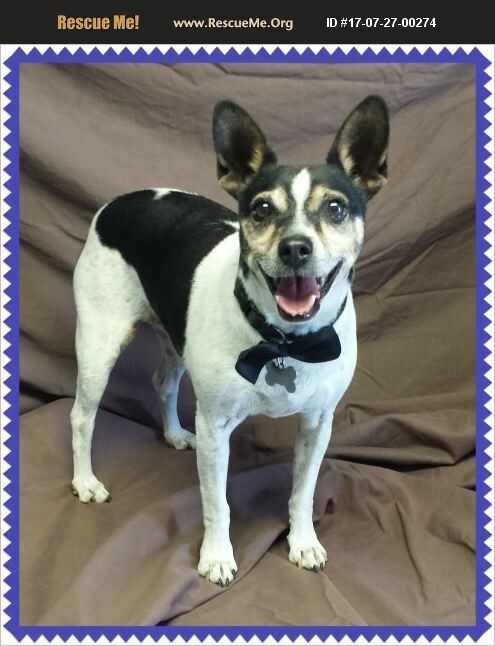 He is a Rat Terrier Mix, weighs 22 pounds and is around 8 years old. Rocky is neutered, has a microchip and is current on all vaccines. Rocky is timid of new people at first. But will come around in a couple of days. Rocky is energetic and playful and good with most dogs. He does love to talk. For more information, please call us at 866-725-4543.